* Senior Lecturer, Department of Law, University of Essex. Some of the material used in this article is taken from the author's Aspects of Extradition Law (Kluwer, 1991). 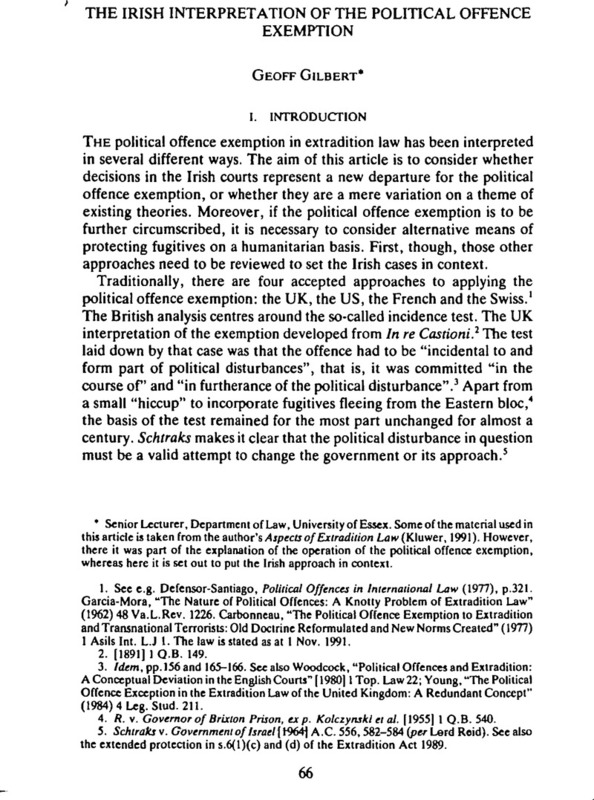 However, there it was part of the explanation of the operation of the political offence exemption, whereas here it is set out to put the Irish approach in context.